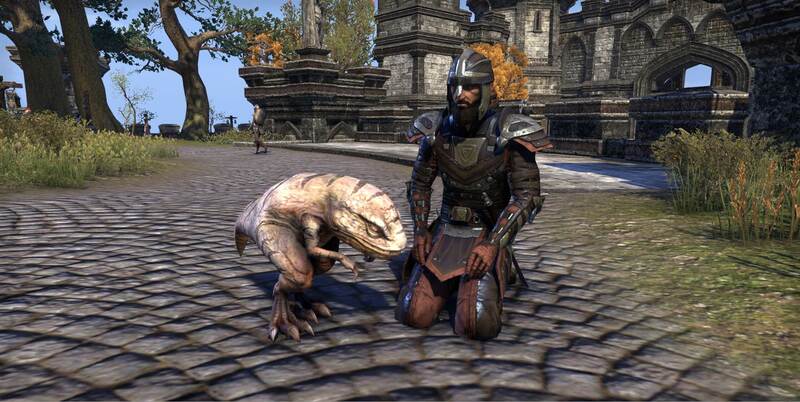 After numerous requests in zone chat for me to explain how I got my hands on ___ pet, I’ve decided to just write up a guide for the good people of Tamriel. This guide is up to date as of 7/25/2014, and information will become outdated over time. As such, I will try and keep it updated, sometimes publishing new editions with major updates. This guide will only list pets currently in the hands of players in the game, including those given out in error. 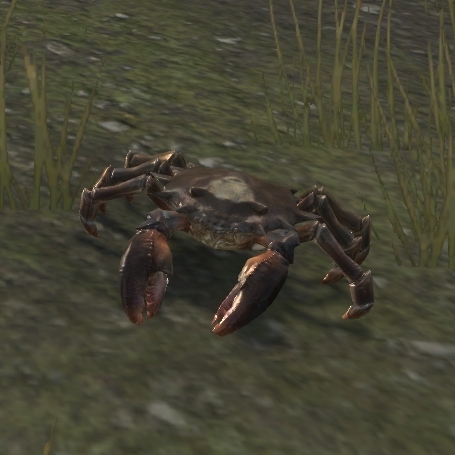 Nibenay Mudcrab-Obtainable by purchasing or upgrading to the Imperial Edition. Image courtesy of UESP. 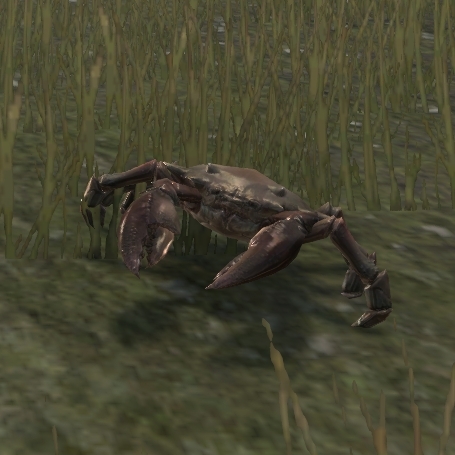 Rufous Mudcrab-Accidentally sent out to those that purchased the Imperial Edition at launch. As of the publication of this guide, there is no way to obtain this pet in game. The Rufous is shade or two lighter than it’s Nibenay cousin. Image courtesy of UESP. Scuttler-Obtained through the Explorer’s Pack, which was given to those that preordered. Image courtesy of UESP. Imgakin-Obtained by playing in the beta. You can purchase a code for $15 USD here. Image courtesy of UESP. 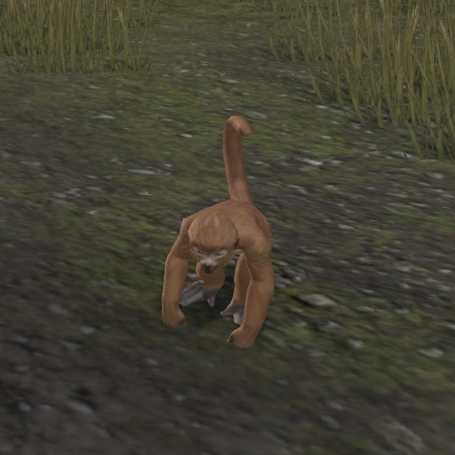 Monkey-Like the Rufous Mudcrab, this monkey pet was given out in error, and is otherwise currently unobtainable. The monkey’s fur is a dark brown, while the imgakin’s is tan. Bristlegut Piglet-Obtainable by visiting the ESO booth at any con in 2014. You can purchase a code on eBay, or with in-game gold here. I personally paid 60k for my pig, however prices vary wildly and can go for anywhere from 10k to 200k. Image courtesy of Beldorrub17_ESO on the official forums. Pet Wolfhound-Obtainable only by purchasing the Imperial Edition on Steam by 7/21/2014. The vanity pet is attached to new accounts, and codes cannot be purchased. Image courtesy of Zenimax Online Studios. Pet Crony Scrib-Obtainable by purchasing the Fighters Guild Journeyman in Akaviri Armor with Pony Guar Petfigurine, sold exclusively at the 2014 San Diego Comic Con. The figurine is made by Symbiote Studios. 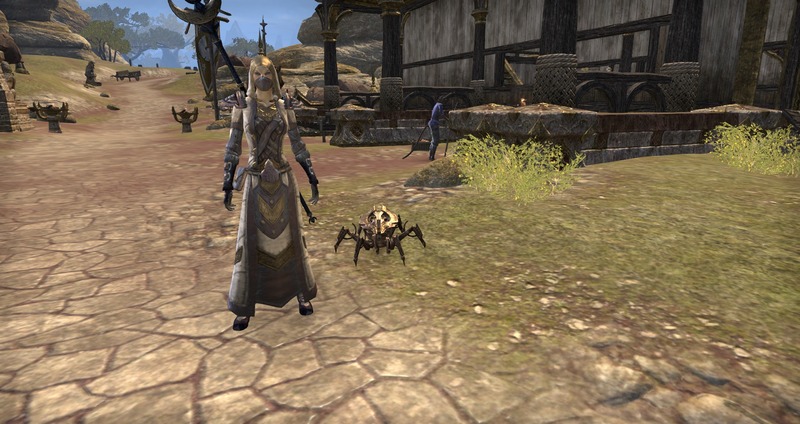 Razak’s Toy Spider-Obtainable by completing the quest in the public dungeon Razak’s Wheel, in southern Bangkorai. Video walkthrough. Image courtesy of AshleyLee on the official forums. 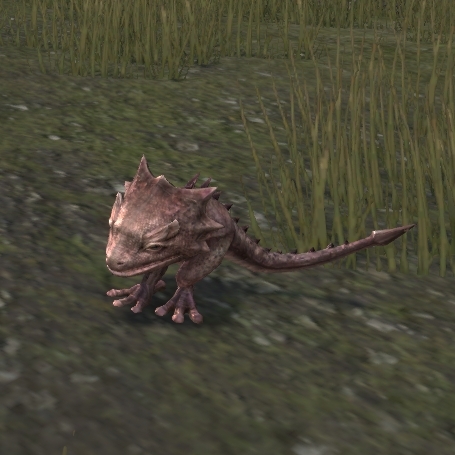 Pet Pony Guar-Obtainable by purchasing the guar plushie. Image courtesy of ZOS_GinaBruno. If you’ve enjoyed my guide, please consider helping me better it by providing higher quality screenshots of the pets. If you know of another pet that wasn’t listed in this guide, please let me know in the comments (ideally with as much info as possible) and I’ll add it. If you really love me, feel free to send your fishing bait, gold, motifs, costumes/disguises, or other items at @suicidewatch45. Any and all donations are greatly appreciated.